Portable apps are the one of the extreme need if you are mobile, every time every utility you won’t find portable so why not create your own portable app. Welcome back folks, moving across many PCs, cafes, college, office won’t let you set your own environment. One will surly want to have some portable apps that will help everywhere. 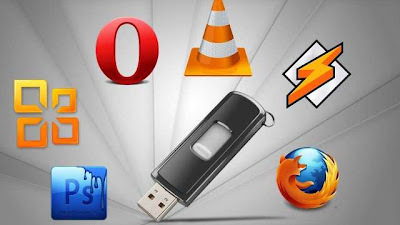 Many of the public PC won’t give you Administrator permission to install apps that you want, so portable apps residing in your USB Drive will going to give you lots of freedom. 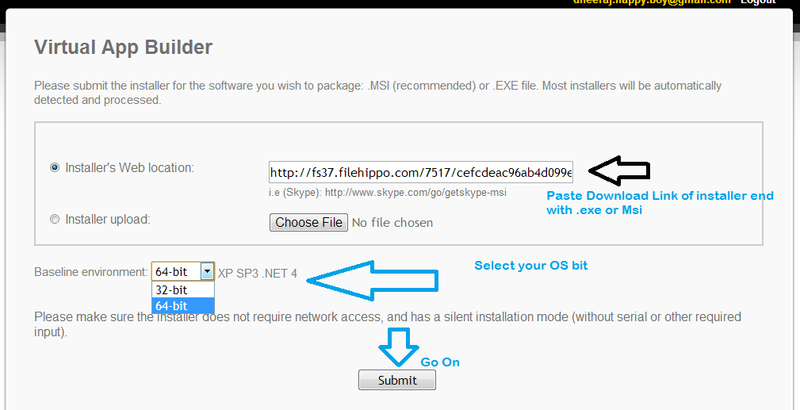 In this post we’ll let you know how you can make your own portable apps online. Is the solution for your problem. This site already has lots and lots of portable apps available online to just download and use. This cover most of the day to day applications like VLC, Skype, Google chrome, Mozilla Firefox and so on. Once you open the page, you will be asked for some information as shown in screen shot. If you don’t have setup link but you have setup file on your computer, you can upload it directly. After this, select your baseline environment, 32bit or 64 bit. Check for your Mail from comeyo.com this contain the download link to download the application. And done!